A few weeks ago, I had a particularly busy weekend. The East Multnomah Soil and Water Conservation District had its annual native plant sale on Saturday, and I picked up some new low-maintenance plants for the garden. But since I was already going to be working outside – and because the weather was so freakin’ great for February – Emily and I went up to our favorite garden center, Cistus Nursery up on Sauvie Island. This almost always ends well. By the time we were done, I had about two dozen plants to get into the ground. That wasn’t all. The day after was the Daytona 500, and I have an annual get-together for friends to watch the Great American Race. So the house had to be clean, of course. And, because America and Freedom and stuff, I also had to make a turducken for the party, which meant getting up at 5 a.m. Sunday to start the bird-on-bird-on-bird action. I wanted something on the “ease of cooking” scale somewhere between pizza and Thai curry. 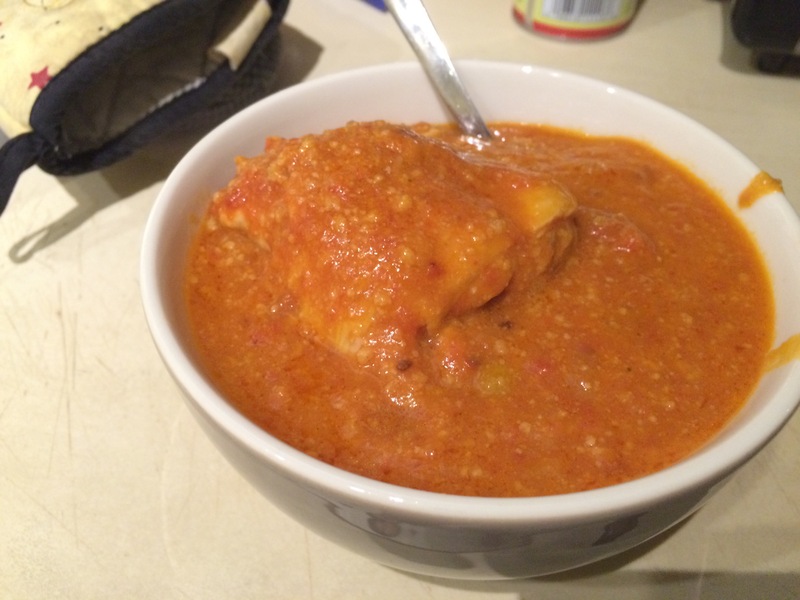 I looked at my recipe file and saw domoda – a filling-looking Gambian stew – and thought that looked perfect. A quick trip to get some ingredients and off I went, making this weeknight-level easy African dish. Heat some olive oil in a heavy pan. Add onion, sautéing to golden. 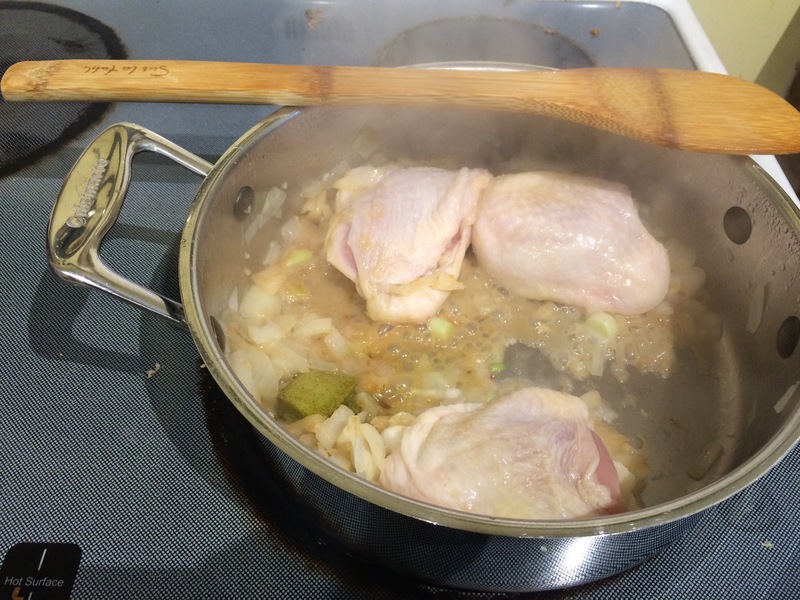 Add garlic and chicken, browning the skins and stirring often. Add tomato once skins are browned. Add tomato paste, Serranos and peanut butter. Stir. Add about 2 cups of water, and a Rapunzel cube. Simmer for one hour, covered.